42 percent of Indofood Agri’s 549,287 ha total landbank is contested. Contested landbank and alleged labor risks could have material impact on equity price. At least 36 percent of the CPO processed in Indofood Agri’s refineries comes from undisclosed sources. A RSPO complaint was recently filed accusing Indofood Agri of employing child labor and exhibiting poor labor practices. Singapore-listed Indofood Agri Resources (Indofood Agri – US OTC:INDFY) is one of the largest oil palm plantation companies in Indonesia. With its five palm oil refineries, it also is the domestic market leader for branded cooking oils, margarine and fats. Anthoni Salim controls the company. 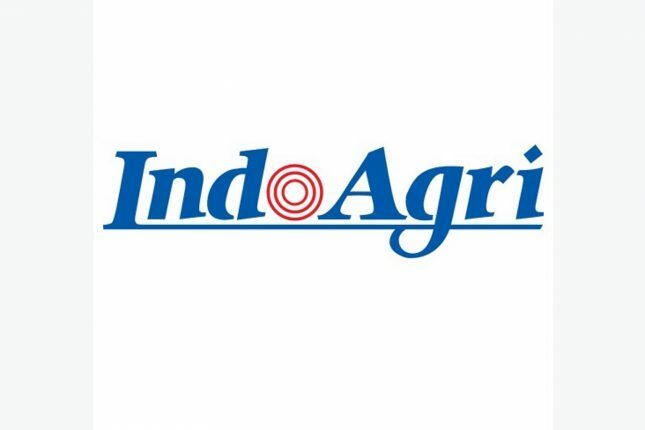 Indofood Agri’s market capitalization is USD 502 million. 42 percent of Indofood Agri’s 549,287 ha total landbank is contested.Indofood Agri controls 63 concessions. Six plantations (7 percent of its total landbank) allegedly have community conflicts and labor controversies. Four plantations (9 percent of its undeveloped landbank) are located on peat and/or forest areas, potentially prohibited from development given Indonesian government regulations. Approximately 5,900 ha of peatland burned in 2015 on Indofood Agri’s concessions. 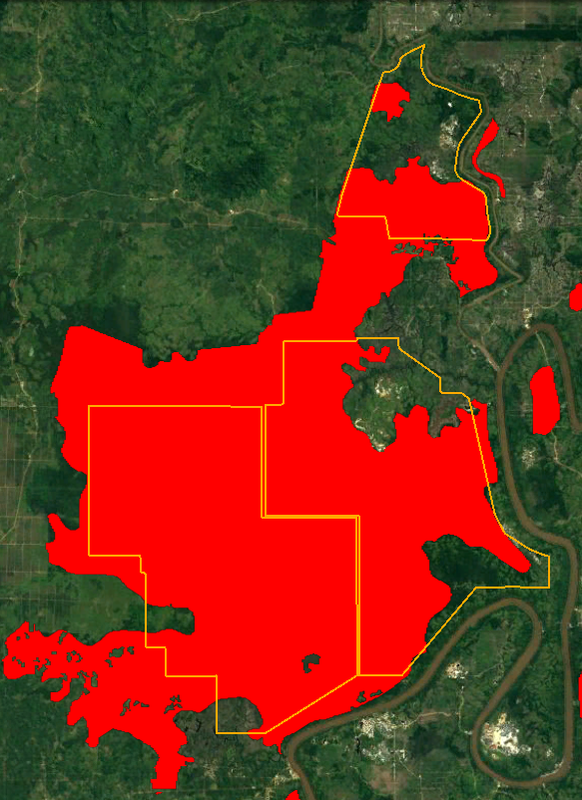 16 plantation companies (29 percent of its total landbank) do not publish concession maps. A RSPO complaint was recently filed accusing Indofood Agri of employing child labor and exhibiting poor labor practices.The company has allegedly undermined job security for workers and the freedom of association in trade unions. It is allegedly paying employees below the minimum wage and setting individual quotas for workers unrealistically high. Also, the company allegedly employs children to assist with harvesting. The company runs the risk that its RSPO membership is suspended as a result of this complaint. Indofood Agri is one of the many listed companies controlled by the Salim family.This complicated holding structure, controlled by a small group of managers, aims to attract outside financing without losing control. A small group of managers controls all these Salim businesses, which derive their sales and market values to a large extent from the same assets. Indofood Agri generates 28 percent of its revenues from other Salim businesses. This creates governance risks for outside investors. At least 36 percent of the CPO processed in Indofood Agri’s refineries comes from undisclosed sources.This is creating both supply chain and reputation risks for its buyers and investors. Simultaneously, various private oil palm plantation companies indirectly controlled by Anthoni Salim are developing supply chain and reputation risks by their deforestation activities for their CPO buyers. The identified contested landbank and alleged labor risks could have up to a 20 percent negative impact on IndofoodAgri’s share price. 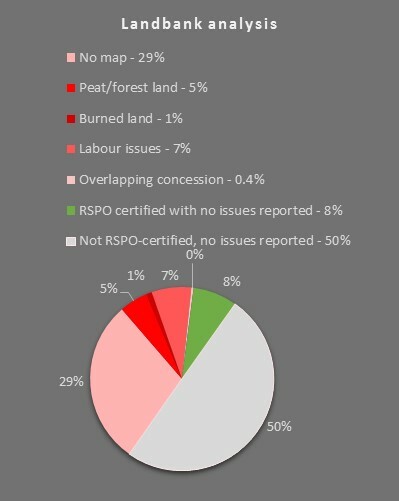 Possible loss of its RSPO certifications can have a negative impact of a few percent. 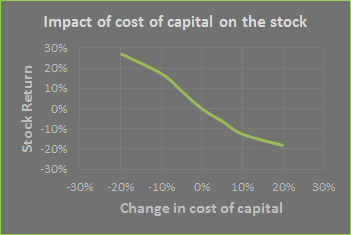 Furthermore, the stock price decline could be amplified to around 20 percent if banks and equity investors with ESG policies avoid the company because of social, environmental and governance concerns. The Singapore-listed holding company Indofood Agri Resources Ltd. (Indofood Agri) is among the largest palm oil producers in Indonesia. It operates oil palm plantations with a total planted area of 246,359 ha and 24 palm oil mills producing one million tons of CPO per year. The company’s businesses span the entire palm oil supply chain from plantations and refining to branding and marketing. Indofood Agri’s five Indonesian palm oil refineries – located in Java, North Maluku and North Sumatra – have a total annual CPO processing capacity of 1.4 million tons. Annual production of refined palm oil amounted to 817,000 ton in 2015, giving the company a leading share on the Indonesian branded cooking oil, shortening and margarine products markets. Its well-known brands include Bimoli, Delima, Happy, Palmia and Amanda. Palm oil plantations account for 82 percent of Indofood Agri’s total planted area, spread over Sumatra and Kalimantan. The company also operates in Indonesia 21,338 ha of rubber plantations, 13,358 ha of sugar plantations as well as two sugar mills and 19,578 ha of other crops including cocoa, timber and tea. Not consolidated in its total landbank are the company’s investments in sugarcane operations in Brazil and the Philippines. In fiscal year 2015, Indofood Agri’s total revenues were USD 1.033 billion (IDR 13,835 billion), resulting in an operating income of USD 93 million (IDR 1,251 billion) and a net profit of USD 22 million (IDR 299 billion). Its operating income margin is 9.0 percent and its net profit margin 2.2 percent. The Plantations segment encompasses all plantations – planted with oil palm and others crops – and CPO mills. The Edible Oils and Fats segment includes the palm oil refineries and the production and marketing of cooking oils, margarine and other products. 89 percent of the company’s segment assets are invested in its plantations and palm oil mills. Meanwhile, the refineries and marketing facilities account for only 10 percent. In terms of gross sales, the Plantations segment accounts for 66 percent of total revenues while gross sales of the Edible Oils and Fats segment account for 61 percent. Because 55 percent of the CPO volume produced by its plantations is sold to the company’s own refineries, 27 percent of total revenues is overlapping between the two segments. 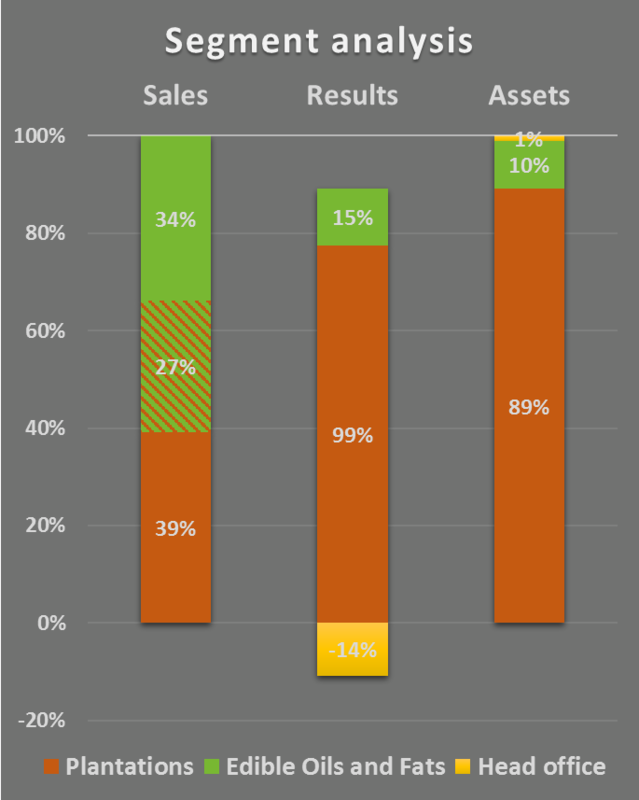 The downstream activities are less profitable, accounting for only 15 percent of total segment results. The Plantations segment is the main profit driver of Indofood Agri, responsible for 99 percent of its results. Sudono Salim was a close friend and business partner of ex-president Suharto. Salim’s son Anthoni Salim now controls the family’s businesses. In the 1990s, the Salim family businesses accounted for 5 percent of Indonesia’s economic output. It was active in many sectors: food processing and marketing, automotive, construction and building materials, real estate, telecommunications, financial services and trading. Through a web of offshore companies, the group acquired concessions to develop 1.1 million ha of potential oil palm plantations. When the Asian financial crisis broke out in 1998, non-performing debts almost bankrupted Bank Central Asia, which was controlled by the Salim family. At the time, Bank Central Asia was the largest private bank in Indonesia. The Indonesian Bank Restructuring Agency (IBRA) had to save the bank from collapse because of its non-performing debts. It forced the Salim group to transfer as compensatory payment to IBRA 25 of its oil palm plantations, which controlled 260,000 ha, as well as its oleochemical businesses. In 2000, IBRA sold these 25 plantations to the Malaysian company Kumpulan Guthrie, which later merged into Sime Darby. During this time, the Salim family succeeded in maintaining control over its profitable flagship company PT Indofood Sukses Makmur, one of the largest private companies in Indonesia. As a producer of instant noodles, baby food and other food products, this company is also one of the biggest domestic buyers of palm oil. To fulfill its demand for CPO, Indofood Sukses Makmur rebuilt its oil palm plantation activities, amongst others by acquiring a majority stake in Jakarta-listed plantation company PP London Sumatra Indonesia. To attract foreign investors, these plantation activities where then grouped under Indofood Agri, which was listed on the Singapore Exchange through a reverse take-over in 2006. To maintain control over its diversified business group while seeking to attract foreign investments, the Salim family created a complicated structure including many listed and unlisted companies. The graph on the left shows a simplified overview of the group structure, focusing on Indofood Agri and other palm oil related companies and leaving out many other businesses and intermediate offshore vehicles. Indofood Sukses Makmur, with a market cap USD 4.8 billion (IDR 65.4 trillion) is the parent company of Indofood Agri. Together with two Salim offshore companies, it owns 74.49 percent of Indofood Agri’s shares. Indofood Sukses Makmur dominates the Indonesian instant-noodles and wheat-flour markets and is a significant producer of baby foods, snack foods, sauces, seasonings and biscuits. Indofood Sukses Makmur also owns 80.53 percent of Indofood CBP, which controls the consumer branded products of the group and has joint ventures with major foreign food companies. PT Nestlé Indofood Citarasa Indonesia is a joint venture between Indofood CBP and Nestlé SA, producing culinary products. With soft drink and snack foods producer PepsiCo, Indofood CBP owns the snack foods joint venture Indofood Frito-Lay. Indofood Sukses Makmur is in turn 50.09 percent owned by First Pacific, a Bermuda-registered conglomerate that is listed on the Stock Exchange of Hong Kong. Although First Pacific’s business interests range from telecommunications to infrastructure and natural resources in the Asia-Pacific region, Indofood Sukses Makmur accounts for 38 percent of its turnover. First Pacific has a market cap of USD 2.9 billion. Anthoni Salim owns 45.03 percent of First Pacific. Indofood Agri controls two publicly traded palm oil companies listed on the Indonesia Stock Exchange. PT Salim Ivomas Pratama Tbk, which is 79.99 percent owned by Indofood Agri and its parent company, manages almost all activities of Indofood Agri. The company has a market value of USD 595 million (IDR 8.07 trillion). In turn, PT Salim Ivomas Pratama owns 59.5 percent of PT PP London Sumatra Indonesia Tbk. This is one of the oldest plantation companies in Indonesia, with a present market value of USD 873 million (IDR 11.8 trillion). CRR calculations estimate the total landbank of Indofood Agri at 549,287 ha, of which 34 percent are owned by PT PP London Sumatra and 52 percent by PT Salim Ivomas Pratama. The exact ownership of the remaining 14 percent is unknown. The ownership structure of the Salim family businesses, with its many listed subsidiaries, aims to optimize the family’s interests: attracting outside financing without losing control. A small group of managers controls all these Salim businesses, which derive their sales and market values to a large extent from the same assets. This creates an imbalance of information between the dominant shareholder and other investors as well as potential conflicts of interests, worsened by frequent “related party” transactions. To external customers, Indofood Agri in 2015 sold 442,000 tons of CPO and 817,000 tons of cooking oil, margarine and fats. Indofood Agri reports that 91 percent of its revenues are generated from the Indonesian market, with smaller export revenues from Singapore, China, Nigeria, Malaysia, the Philippines and Timor-Leste. Of the total sales of Indofood Agri Resources in 2015, IDR 3,854 billion (28 percent) was sold to other parts of the Salim business group. Of this percentage, 11 percent is sold as edible oils and fats products to Indofood CBP, to be further processed into products like noodles and baby food. Another 2 percent is sold to other subsidiaries of Indofood Sukses Makmur while another 15 percent is delivered to other Salim-controlled businesses. Indofood Agri also sells part of its production to Wilmar International, which purchases RSPO-certified CPO and rubber, and to Musim Mas, which purchases CPO and palm kernel oil from RSPO-certified plantations and from non-certified plantations. Indofood Agri also indirectly supplies CPO and palm kernel oil to IOI Corporation, which is a customer of Wilmar and Musim Mas. At least 36 percent of the CPO supplies to the company’s refineries are from unknown external CPO mills and plantations. Indofood Agri describes itself as “a vertically integrated agribusiness group” as it operates plantations, CPO mills and refineries. However, this vertical integration is less strong then suggested. According to Indofood Agri, the Plantations segment sells 55 percent of its CPO to the Edible Oils and Fatssegment and 45 percent to external customers. As a result, the refineries source a significant share (36 percent) of their CPO supply from undisclosed third party suppliers. While this already is a significant external sourcing percentage, the segment revenues reported by the company seem to suggest that the company’s refineries actually rely even more on external suppliers. This is because the reported 55 percent of the CPO volume sold to the refineries yields only 41 percent of the turnover of the Plantations segment. This means that this CPO would be sold internally for IDR 7 million/ton, while the CPO sold to external customers would yield IDR 12 million/ton. This does not seem realistic, as the average CPO market price in 2015 was IDR 7.5 million/ton. One possible explanation for this discrepancy is that Indofood Agri in reality sold less than 55 percent of its CPO to its own refineries, increasing the reliance of the refineries on external suppliers. The refineries’ strong reliance on external CPO suppliers creates supply chain risks. Indofood Agri does have a sustainability sourcing policy to deal with those risks, but the extent to which it is enforced remains unknown as the company does not follow industry best practice by publishing lists of suppliers. Its policy also is weaker than that of other leading companies, which prohibit development on peat regardless of depth and prohibit development of all High Carbon Stock (HCS) forest. Indofood Agri still allows conversion of secondary forest and peat up to three meters. Lesser known to the public and investors is that Anthoni Salim’s business network extends well beyond the publicly listed companies. Some of these other Salim businesses are subject to far lower sustainability commitments and might end up supplying CPO to Indofood Agri’s refineries. Some examples are described below. In October 2012, the Centre for Orangutan Protection (COP) filed a formal RSPO complaint against PT Gunta Samba Jaya (PT GSJ). COP was convinced that this was an Indofood Agri subsidiary given on-the-ground reports regarding signage and other information. Indofood Agri’s CEO flatly denied this in public. Later it became clear that PT GSJ is controlled by the Salim family, outside Indofood Agri. A family member of A n thoni Salim successfully resolved the case, which concerned the clearing of orangutan habitat in East Kalimantan. A similar case remains unresolved today. It concerns two plantation companies operating in Sintang District, West Kalimantan, PT Duta Rendra Mulya (PT DRM) and PT Sawit Khatulistiwa Lestari (PT SKL). Anthoni Salim’s controlling stakes in these companies are concealed through complex layers of ownership. PT SKL’s majority shareholder is PT Andhika Wahana Putra, a company related to Indomaret, an Indonesian minimarket chain owned by the Salim family. Figure 1: First version of the moratorium map, May 2011 (top); 7th version of the moratorium map includes the Ketungau peat dome, November 2014 (middle); 8th version of the moratorium map influenced by Salim’s directors, May 2015 (bottom). 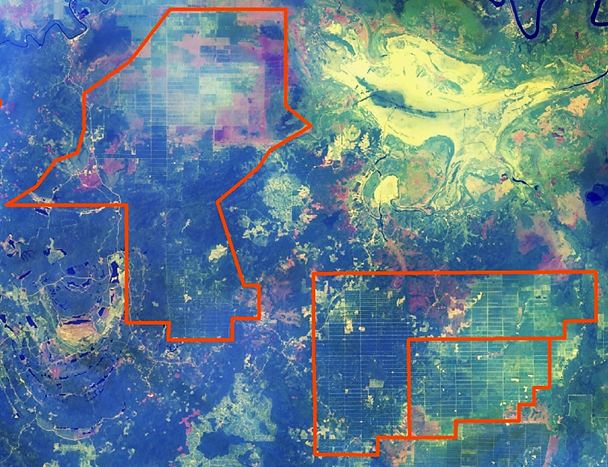 As shown above in Figure 1, both plantation companies recently commenced their land development at the expense of Ketungau swamp forest – the largest intact peatland forest remaining in Sintang district. Evidence shows that PT SKL burnt the peatland prior to planting. Furthermore, evidence shows that PT SKL unduly influenced government authorities to successfully circumvent the May 2011 Presidential Instruction that instituted a moratorium on new permits over peatlands. As shown above in Figure 2, PT SKL and PT DRM caused significant loss of peat forest: between 2011 and 2015, 4,857 ha was cleared. Of this area, 4,300 ha (89 percent) remained forested early 2013. The more recent ban on oil palm development on peatlands, issued by the Ministry of Environment and Forestry in November 2015, states that “land opening or new land clearing within peatland for plantation purposes is not allowed anymore”. However, satellite imagery evidences how Salim’s local directors also ignored this government order by continuing deforestation on peatland. Both plantation companies have commenced planting and will most likely sell their fresh fruit bunches to the closest mills owned by the Wings, Lyman and Incasi Raya Groups, all of which rely on refiners with NDPE policies such as Wilmar, Musim Mas, Golden Agri-Resources and others. The latter will now likely instruct these third party suppliers to exclude Salim’s subsidiaries from their supply base. PT SKL and PT DRM will have to invest in their own CPO mills and access markets, other than Wilmar’s CEKA refinery in Pontianak, the only refinery facility in the province proactively implementing Wilmar’s NDPE policy. In 2016, the Indonesian NGO MIFEE Watch traced the ownership of four oil palm plantation companies in Papua to an offshore trust registered at the same address than Salim’s plywood business PT Kayu Lapis Asli Murni (Kalamur). Some of the companies’ executives were previously part of the management of various Salim businesses. 86 percent of the 135,620 ha total concession’s landbank in West Papua remains undeveloped and is covered by forest and peatland. Any further development is expected to escalate deforestation. 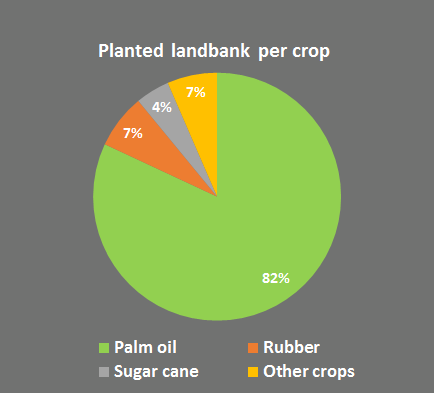 Similar issues occur in Indofood Agri controls 63 palm oil concessions with an estimated total landbank of 549,287 ha, of which 246,359 ha (45 percent) are already planted with palm oil. According to Indofood Agri, as of December 2015 the company had approximately 25,000 ha of land available for future palm oil developments. The remaining 277,928 ha includes community agriculture, mining, timber and other undevelopable land. Data gathered by Chain Reaction Research-partner Aidenvironment shows that 42.4 percent of the total landbank of Indofood Agri is contested. This includes concessions with remaining peat and forest, reported environmental and social issues, and the absence of maps. 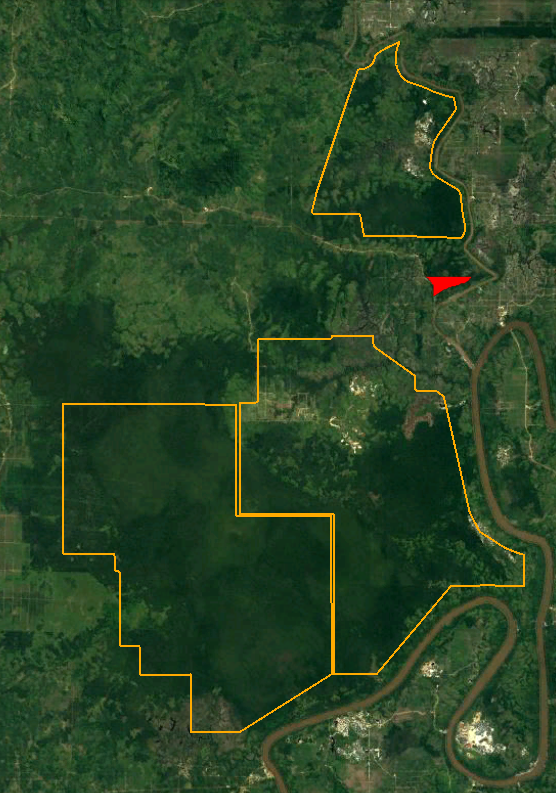 This comprises several RSPO certified concessions (~42,000 ha). 50 percent of its concessions is not RSPO certified with no sustainability issues recorded. 8 percent of the total landbank (18 percent of the planted area) is RSPO certified and has no reported issues. Six plantations, including two RSPO certified plantations, are identified as being involved in community conflicts and labor controversies. Four plantations have undeveloped peat and/or forest areas. The government moratorium and deforestation policies adopted by financiers and CPO buyers could prevent these areas from being developed given the requirement of these policies to protect High Carbon Stock forests. Based on peatland basemap (Wetlands International), field verification combined with fire and burn scars satelite images analysis, 5,900 ha of peat lands were identified as burnt in 2015: 4,600 ha in October in the Kedang Makmur Estate and 1,300 ha in the Isuy Makmur Estate. 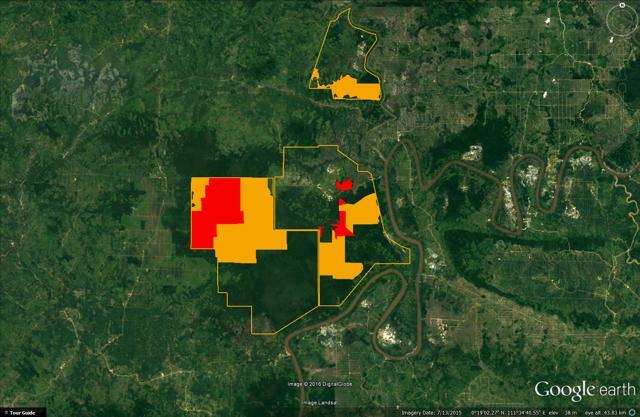 According to the Indonesian Ministry of Forestry 2015 land cover map, 2,100 ha on two plantation’s concessions potentially overlap with mining concessions. This means that the area is undevelopable without an agreement between the mining company’s consent. 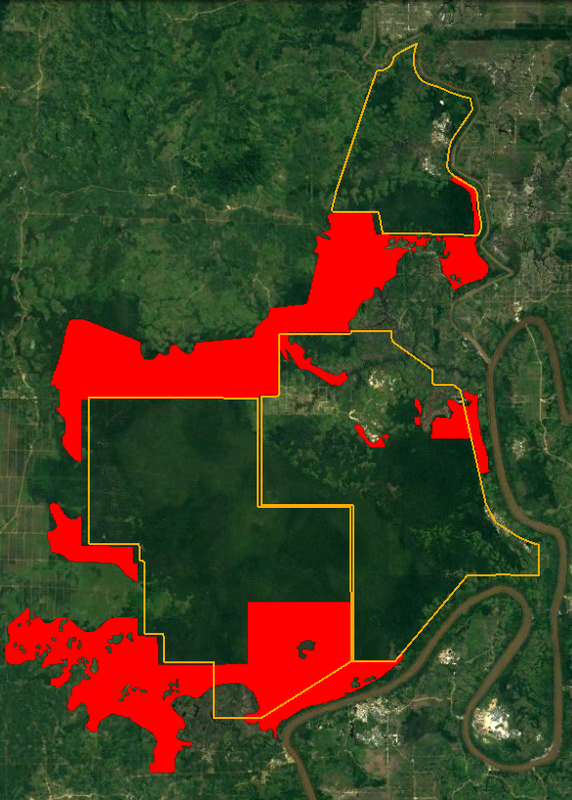 No maps are available for 16 out of Indofood Agri’s 63 plantation concessions. These represent 158,319 ha. Labor exploitation, with in most extreme form is tagged as modern-day slavery, has been lurking underneath the global palm oil discourse. In recent years, a series of reports has held the largest palm oil producers accountable for exploitative labor relations. In October 2016, Rainforest Action Network and its local partners lodged a formal complaint against Indofood’s subsidiaries PP London Sumatra Indonesia and Salim Ivomas Pratama, for labor violations on multiple PP London Sumatra Indonesia plantations in contravention of the RSPO Principles & Criteria and violations of the RSPO Code of Conduct. On the basis of their key findings the complainants requested that the RSPO membership status of the two Indofood Agri subsidiaries be suspended until transparent actions are taken to resolve the violations. RPSO is expected to publish its ruling in 2017, which may trigger prolonged discourse because RSPO will be introducing an independent appeal mechanism. In the meantime, Accreditation Services International (ASI) retracted the accreditation of Indofood Agri’s certification body, SAI Global, in December 2016. Based on NGO community experience with the company, Indofood Agri’s management is expected to pursue a highly defensive strategy, which more likely may result in group suspension, or a voluntary retreat from RSPO. If the company were suspended from the RSPO, it would be excluded from certified sustainable palm oil supply chain and would lose a price premium for 38 percent of its total CPO production. But as was shown by the IOI case, an initial suspension may magnify into an unexpected and uncontrollable flow of interventions by investors, buyers, joint venture partners and consumers. At the end of fiscal year 2015, Indofood Agri’s total assets were USD 2.95 billion (IDR 40,720 billion). Shareholders’ equity financed 35 percent, minority interests 24 percent, and bank loans 25 percent of these assets. Equity investors, who finance 35 percent of Indofood Agri’s combined equity and liabilities, have an important role in financing the company. Indofood Agri is 74.49 percent owned by Indofood Sukses Makmur and other Salim businesses. The remaining free float, 25.51 percent of the Indofood Agri’s shares, are owned by a number of foreign institutional investors along with others. Additionally, non-controlling interests finance 24 percent of Indofood Agri’s combined equity and liabilities. 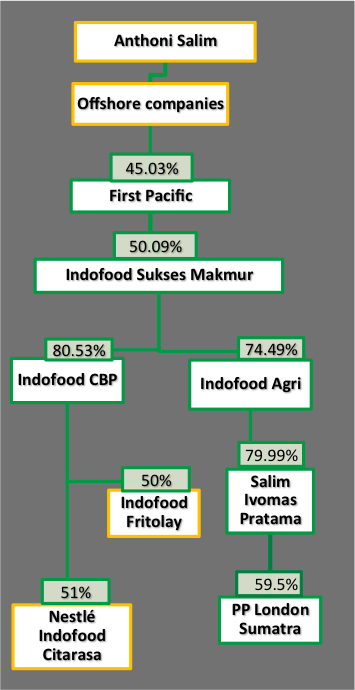 These are the minority shareholders of Indofood Agri’s two listed subsidiaries, Salim Ivomas Pratama and PP London Sumatra, which have a free float of 20 percent and 40.5 percent respectively. Among their outside shareholders are also foreign institutional investors. Figure 4 lists the most important foreign institutional investors owning shares of Indofood Agri and its two listed subsidiaries. Indofood Agri’s contested land and labor practices may violate its investors’ No Deforestation, No Peat, No Exploitation policies. And when the company is suspended from the RSPO, even more investors might consider divesting from the company. This may drive up its cost of capital. Bank loans finance 25 percent of the total equity and liabilities of the company. 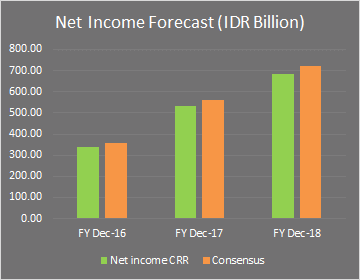 Indofood Agri has a 19 percent long-term debt to total capital ratio, and in line with peers, a net debt to EBITDA multiple of 3.5 times and a 72 percent net debt to enterprise value. Its banks therefore are important stakeholders of Indofood Agri. Figure 5 below lists the banks, which have provided loans to Indofood Agri and its subsidiaries over the past three years. Citigroup, Rabobank and others have policies against financing deforestation and child labor. If enforced, Salim Ivomas Pratama and its subsidiaries would likely face an increase in the cost of debt. Q3 2016 Indofood Agri’s net profit was USD 14 million (IDR 182 billion). This is an improvement compared to a net loss of IDR 248 billion in the same period a year ago. Q3 2016 results were driven by the recovery of the commodity prices and increase in the Edible Oils and Fats division. The gains offset the lower production of CPO due to the El-Nino effects, and created an increase of 9 percent year-over-year in sales growth. The increase profit was also driven by the foreign currency gains and a gain of IDR 25 billion in the fair value of biological assets. 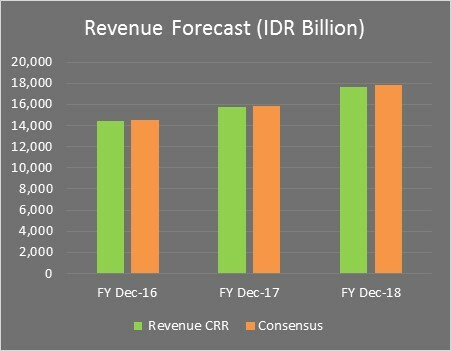 Figure 6 below compares the analysts’ consensus estimates for the key financial indicators in the coming two years of Indofood Agri with its peers. As shown above in Figure 6, Indofood Agri underperforms versus its peers and consensus estimates. Indofood Agri has a net debt to EBITDA ratio below its peer group. In terms of P/E and EV/EBITDA the company is below the peer group for the 2016 and 2017 fiscal year. Indofood Agri also lags behind most of its peers in terms of NDPE policy. All the other companies listed in Figure 6 now have made NDPE commitments. First: Allegations on poor labor practices on its plantations may cause Indofood Agri to be suspended from RSPO. This would lead to a loss of the price premium for CSPO and to a withdrawal of customers. Currently the price premium stands at USD 30 to USD 35 per ton. With a CSPO production volume of 377,000 tons, Indofood Agri could lose up to USD 11 million in annual revenue, which corresponds to 1 percent of Indofood Agri’s annual revenue. Second: Non-sustainable practices at the company’s own plantations or among (related party) suppliers – on which the company’s refineries rely for at least 36 percent – could cause the withdrawal of some of the company’s banks and equity investors. In turn, losing banks and investors could raise the average cost of capital of Indofood Agri. As shown in the graphics above and below in Figure 7, the financial impacts of a suspension from RSPO could reduce future cash flows. As the net present value of future cash flows determines the share price of Indofood Agri, a possible RSPO suspension could result in a 2.5 percent in Indofood Agri’s share price from its current price SGD 0.56 to SGD 0.54. Additionally, an increase of 10 percent in the cost of capital, from the current 6 percent to 6.6 percent, could decrease Indofood Agri’s stock price by another 20 percent.